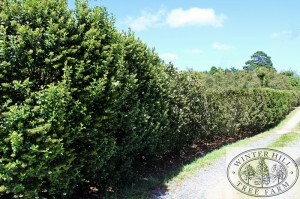 Winter Hill Tree Farm has a new look, a new logo and a new website!! We hope you like it. Why change? 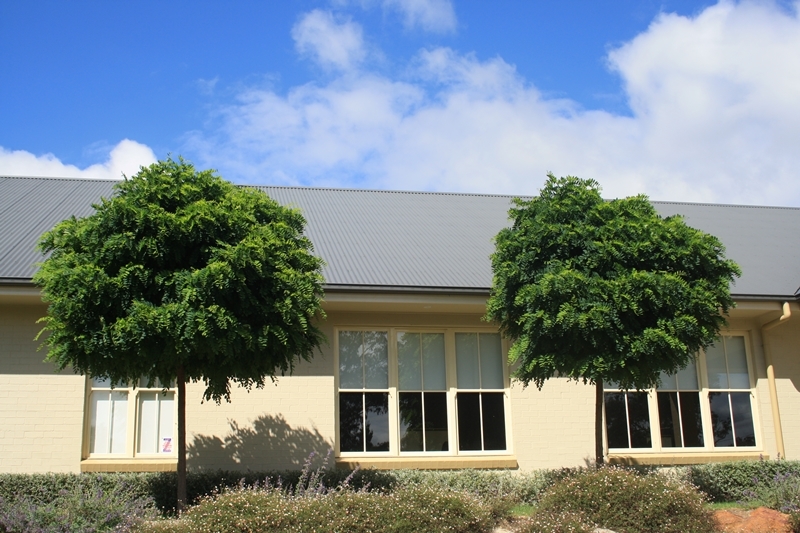 Well, we have now been the proud owners of Winter Hill Tree Farm for 7 years so we decided it was time to really claim it as our own with a bit of a refresh given the business itself was established nearly 35 years ago. 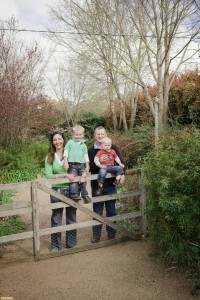 Back in 2008 we returned to Australia looking for a new challenge after living and working overseas for several years. 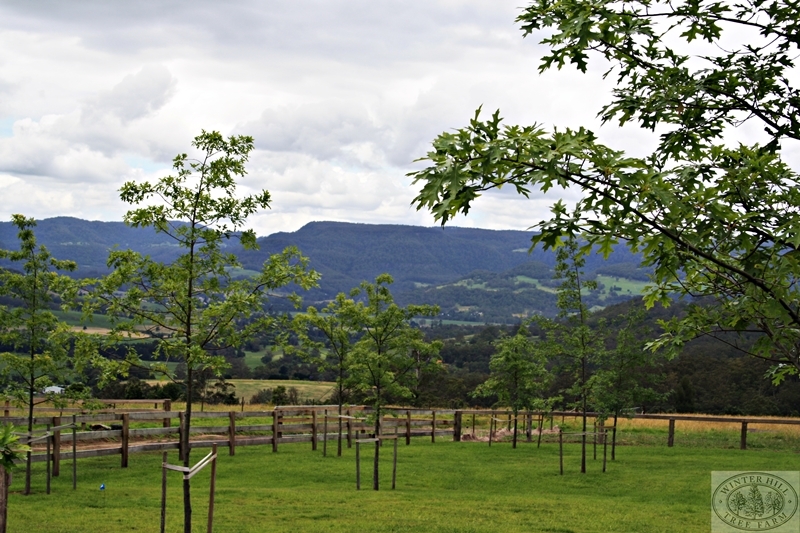 We wanted to escape the city to raise our two young boys and the family joke is that we took the concept of a ‘tree change’ literally and bought a tree farm!! No, at that stage we didn’t have a background in horticulture. We didn’t even really have a background in farming. 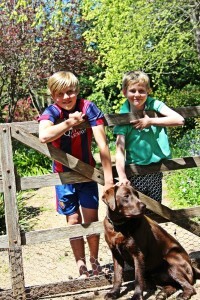 What we did know was that Winter Hill represented a wonderful opportunity to provide our kids with a great farm life in a vibrant community….and hopefully we could learn fast and maintain the reputation Winter Hill had across the industry as a supplier of good quality stock. Over the last 7 years we have learnt a huge amount. We have been lucky. The previous owner and the horticulture industry have been very generous in providing advice and sharing their knowledge. We have also been lucky to have been surrounded by a great team of dedicated and experienced staff. I’m very proud that at the same time as we have been busy raising our boys on fresh air and freedom we have also put in a huge amount of time upgrading the infrastructure and systems around the farm, improving our range and quality. It is hard work. It is seven days (and many nights) a week. It’s nervewracking when the winds pick up or the rain doesn’t come. 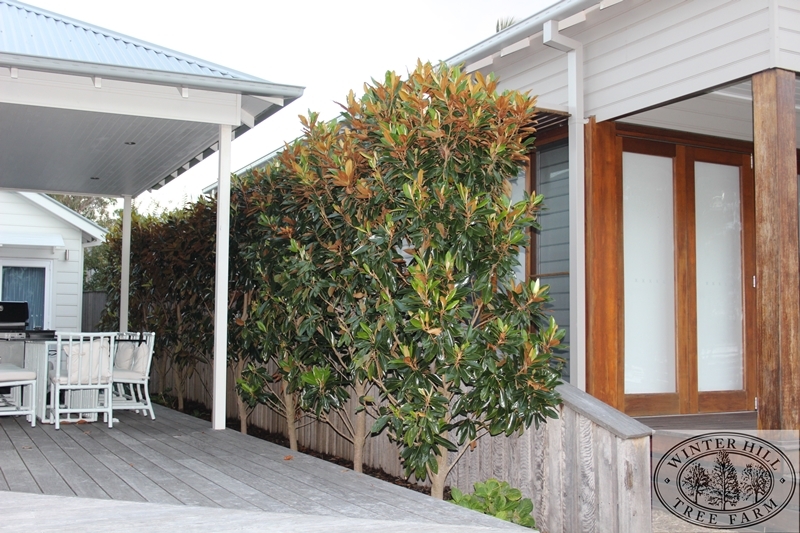 Growing trees in pots means we can supply trees ready to plant year-round which is ultimate convenient service for our clients, but it does mean there is always something to be done. In our early days on the farm friends would visit expecting to see us sitting back simply watching the trees grow! Sounds divine but it’s a romantic and highly unrealistic notion. Still it is a lovely way to live life and earn a living. We have found that buying a tree makes people smile. It is a purchase made with hope for the future and an acknowledgment that nature is pretty amazing. 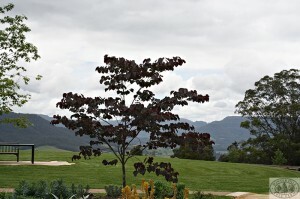 At Winter Hill we specialise in deciduous trees and as such a majority of our range transforms with every season. 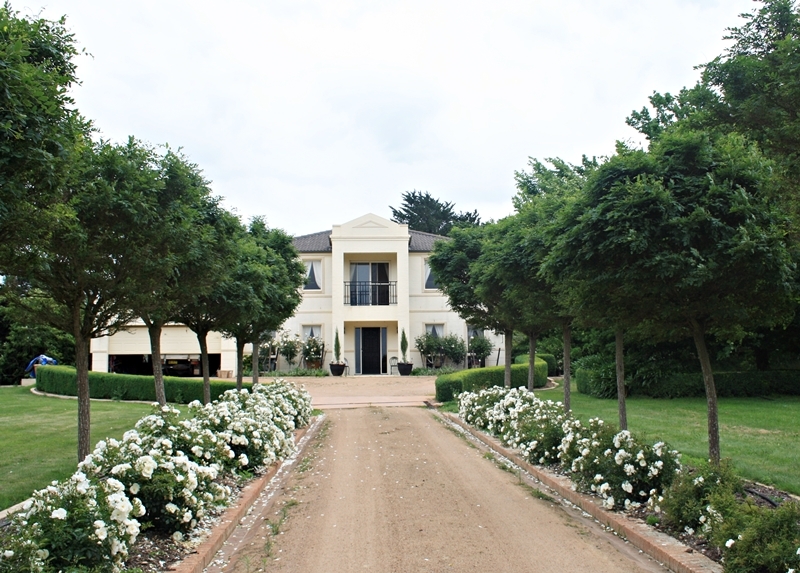 Walking around our 70 acres in Spring it is awash with blossom, in Summer the variety of cool green on display is amazing and Autumn is breathtaking. I marvel every year at the range of colours that compete for attention. Winter most of the trees are bare of leaves but then we get to enjoy the scuptural forms of the bare branches. So here we are, seven years on. Our new logo has been designed by a talented local designer Andy Toohey from Iceblink Creative. 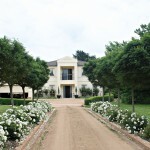 Our website has been updated with skill, patience and design expertise of Mitchell Ward at RockLily Design and Consulting using images I have taken over the years together with some fabulous shots by professional photographers Tony Sheffield from HighLife Magazine and freelance photographer Sue Stubbs. 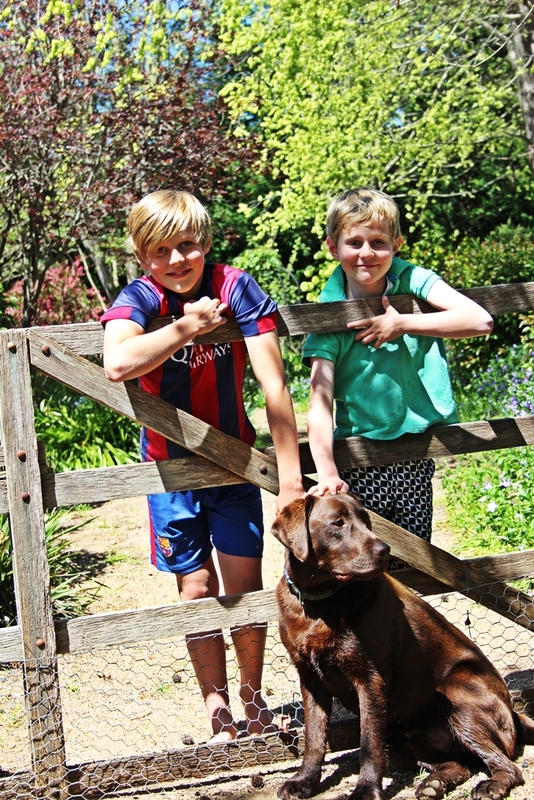 John, Jaqui, Billy and Harry Cameron…. and Milo! Hedging has always been a popular design element in landscaping but don’t just think ‘formal’ when you are considering a hedge. The options are endless! Below is a selection of alternatives. 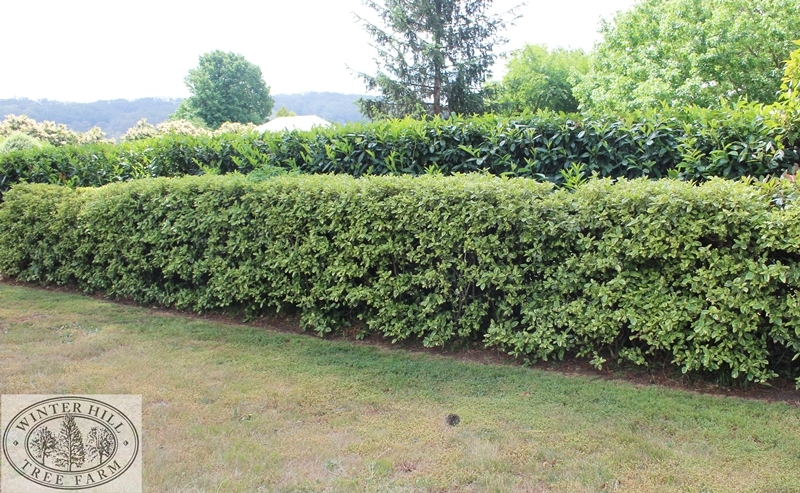 Most are pictures I have taken in and around Burradoo, here in the Southern Highlands to give you an idea of the versatility of design and application a hedge can offer. 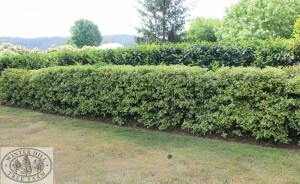 Remember your design choice will be as important to your choice of hedging plant as the soil and climate conditions. You can have them tall or short. You can have them round, square…. 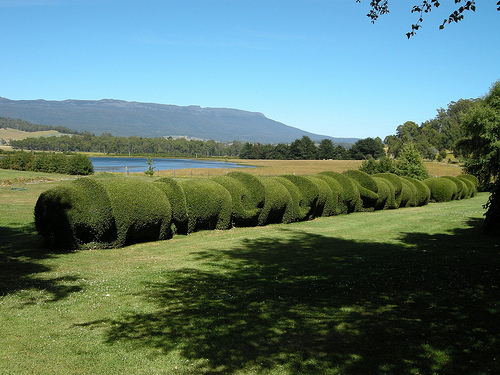 You may like them formally clipped or casually woolly. 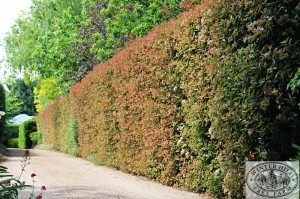 You may choose to have a single hedge. You may like the look of a double. ..or maybe just for fun! 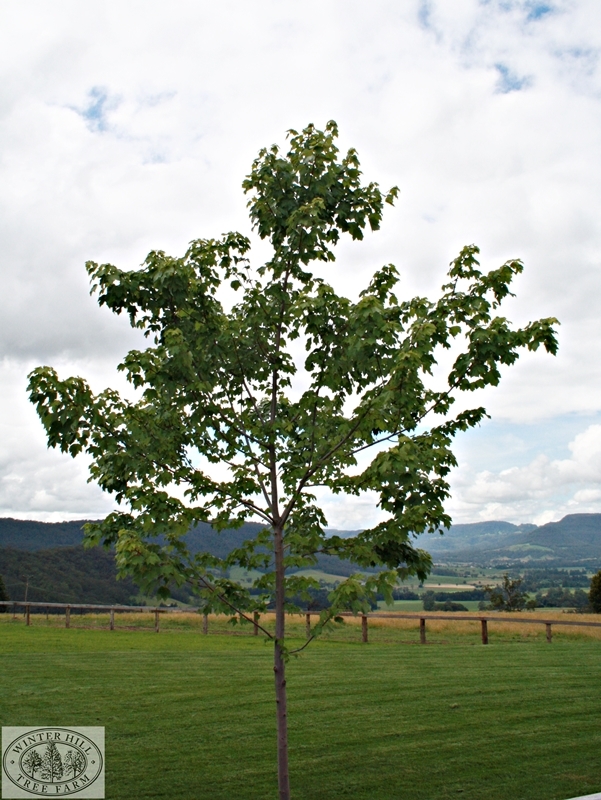 If you’re interested in trees and gardens you will no doubt have had a discussion…and perhaps even an argument…over whether it’s better to buy and plant bare root stock over container grown trees. I think it’s a bit like the peanut butter argument. If you’re a fan of smooth over crunchy then nothing anyone says will convince you to change your opinion. You may accept there are those who like crunchy peanut butter but you will forever believe their position is incorrect. 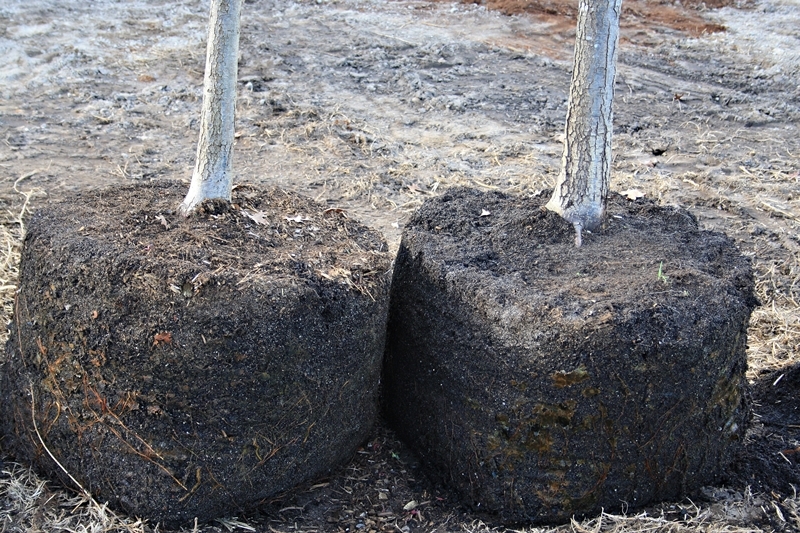 And so it is with bare root versus container grown trees. 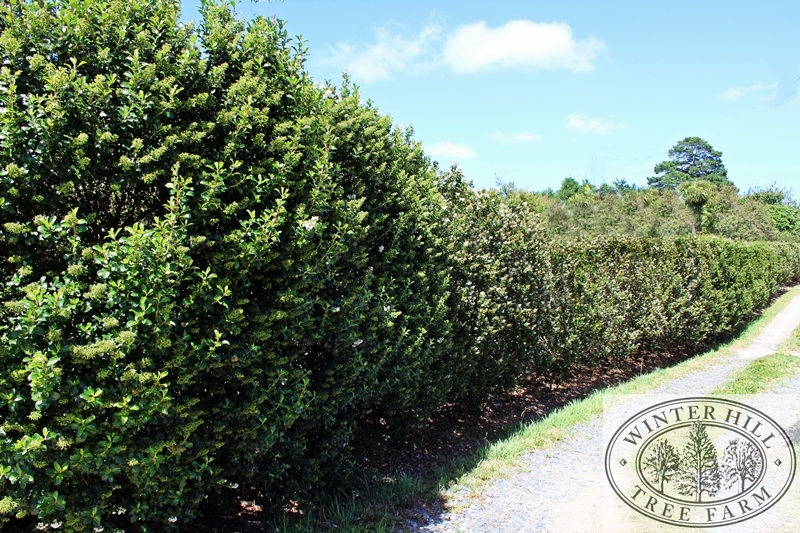 When we purchased Winter Hill Tree Farm just over five years ago the truth is we had little idea of the difference between bare root and container grown stock, let alone any knowledge of the argument for one over the other! Fives years down the track and we have learnt a lot. 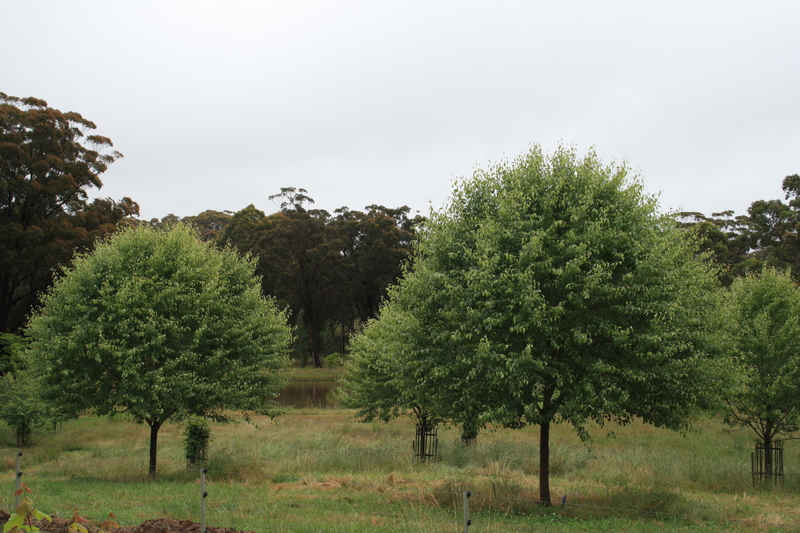 One of the most common questions we face when people learn that we own Winter Hill, a mature tree farm, and that we grow most of our stock in pots is whether or not bare root trees are better. 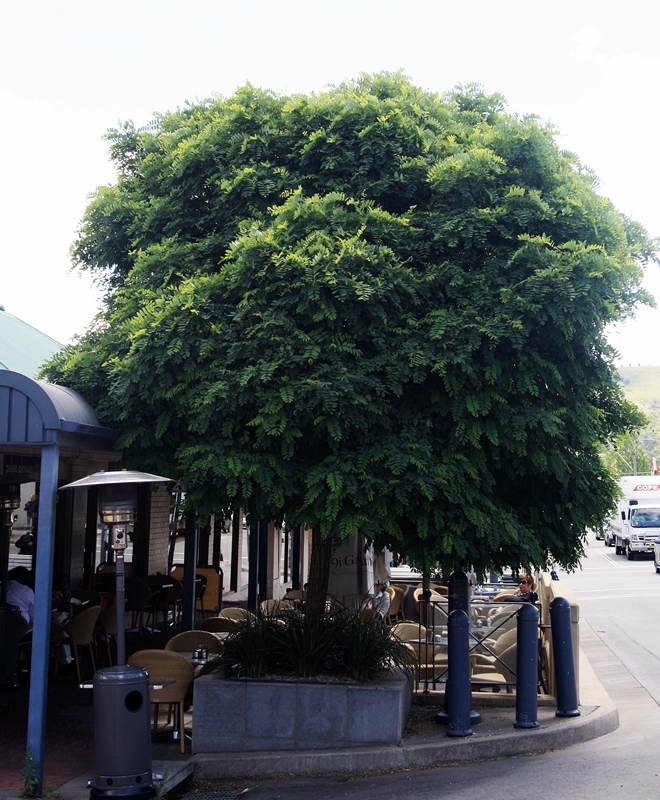 Now, I recognise that given our focus on container grown trees anyone reading this blog will find it impossible to believe the arguments I present will be fair and balanced. 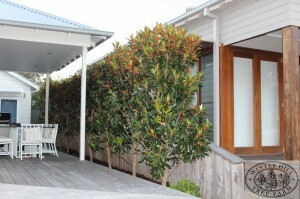 There is no doubt I am biased about the benefits of container grown trees but I am also realistic. So let’s look at a few of the key arguments. 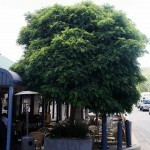 The biggest and undeniable benefit of trees grown in pots is that they can be planted year-round. 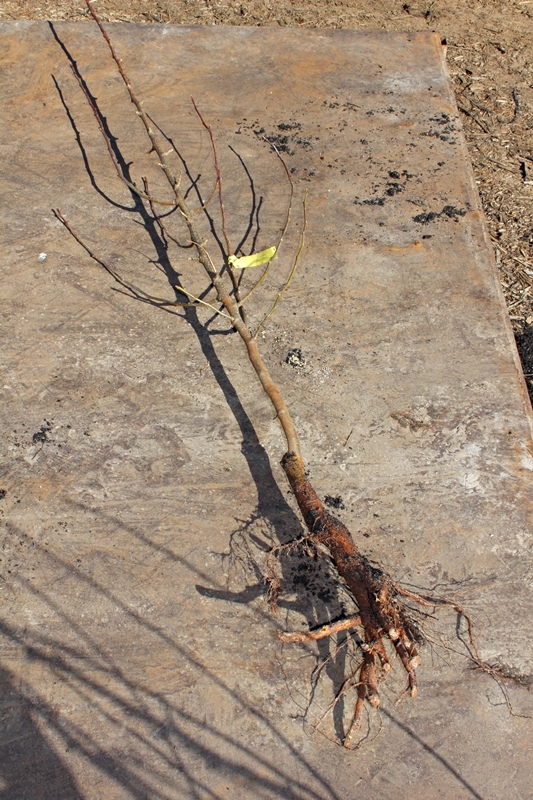 Bare root stock can only be supplied and planted during the dormant winter growing months. 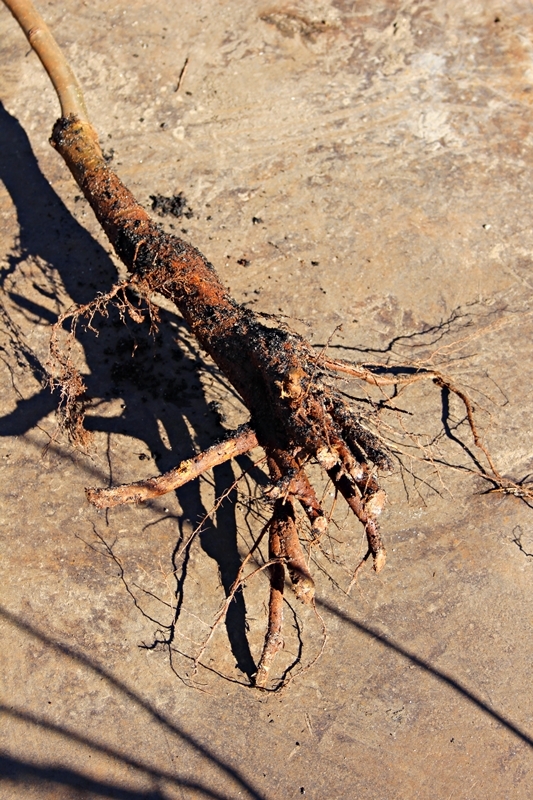 Given I’m writing this blog in Winter the option is certainly there right now for people to access bare root trees, so what are the other differences? 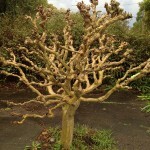 John tells people that buying a tree in a pot is like buying a tree with it’s own life support system. 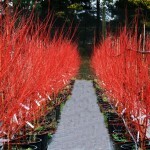 As the name suggests, bare root trees come with no soil but also the very barest of root system. 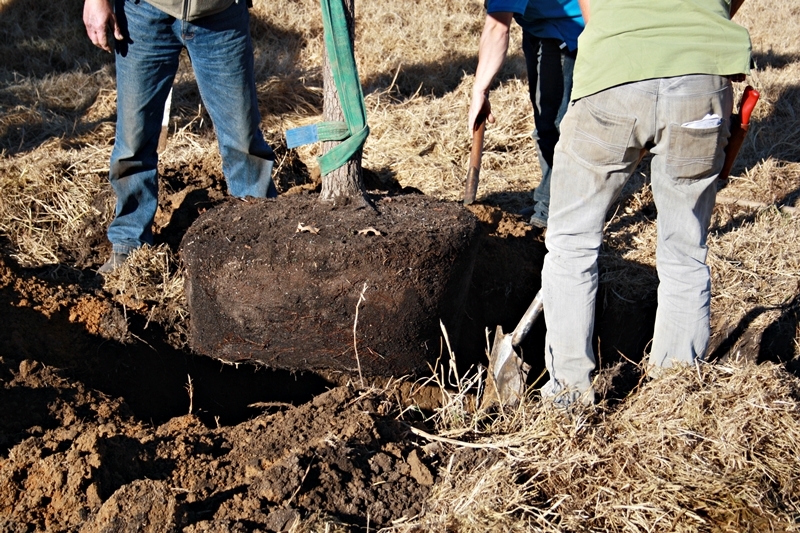 At Winter Hill our trees grown in pots are root pruned regularly to facilitate a fibrous root system and root ball. 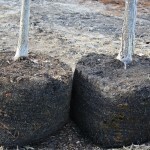 Transplanting that root ball from pot into the ground gives the tree the benefit of that fibrous root system to settle into the ground and immediately, seek and deliver nutrients. 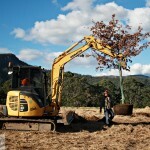 You’re giving the tree the best possible start to their new life in your garden. Also specific to Winter Hill Tree Farm is the fact that we can supply more mature stock. Bigger trees with a bigger root ball. 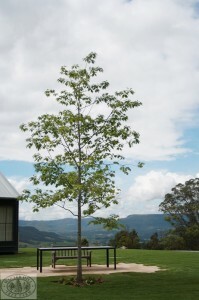 For most species we grow our smallest available tree will be in a 75 litre pot. 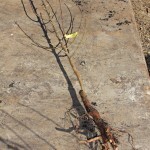 As a general comparison the standard bare root tree has a root system best suited to a 33 litre pot at best, and many much smaller. So if size matters to you then buying a tree grown in a pot gives you the option to buy bigger. The other side of that argument is the fact that bare root trees, without a root ball, are significantly lighter in weight and therefore easier to handle. You can probably purchase them from a local nursery, take them home in your car, lift and plant them without raising a sweat. 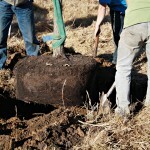 It is obvious that larger trees, in a pot with a root ball will require a bit more muscle to move. 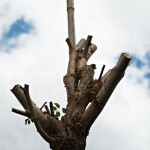 This is a controversial point and it is difficult to find anything other than anecdotal opinion on the comparative growth success of bare root versus container grown trees. Which ones thrive and grow more vigorously over coming years? 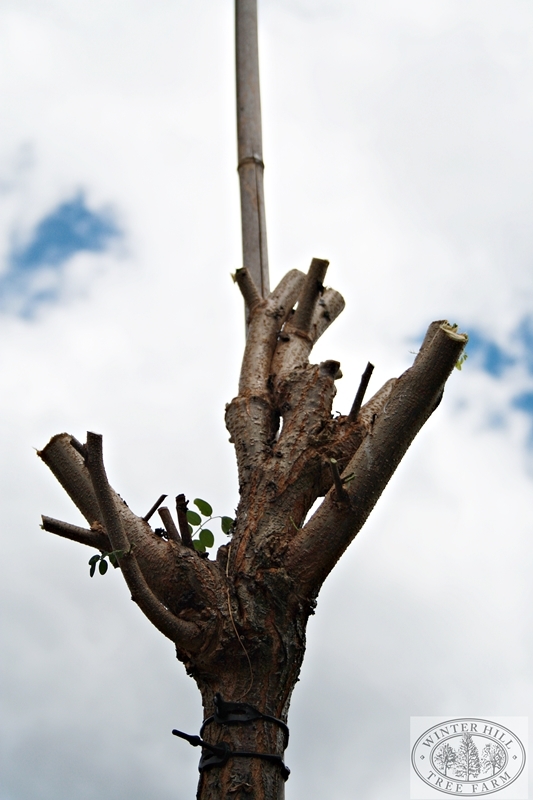 I have already given one reason why container grown trees are more likely to thrive – the fact that with a root ball and fibrous root system they come with their own life support system. However in addition to that is the reality that the success of any tree is most dependent on the preparation, soil and care given to that tree when planted. So to compare is difficult because the fault may be in the conditions rather than the plant itself. For all the arguments for and against the growth and health of a bare root vs container grown tree often the biggest determining factor is the price. 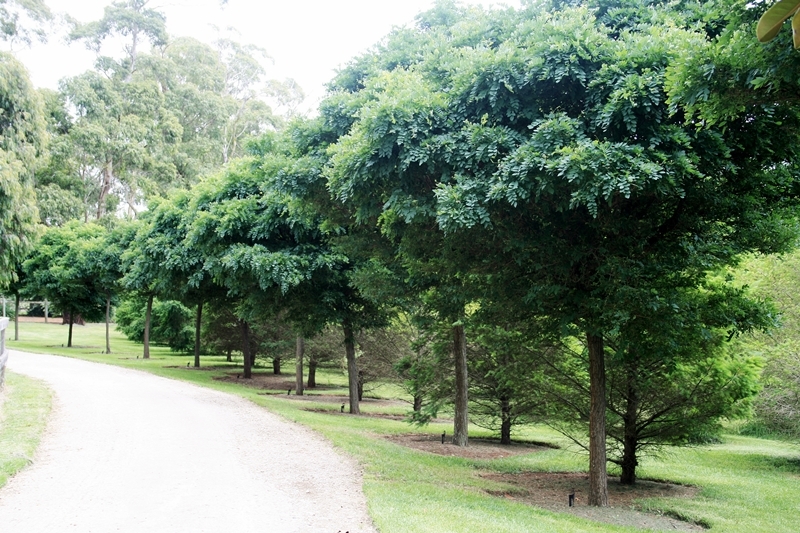 There are many people who come to our farm, visit our website or call our team of horticulturists looking for big trees for their garden, but as with most purchases budget is often a limiting factor. 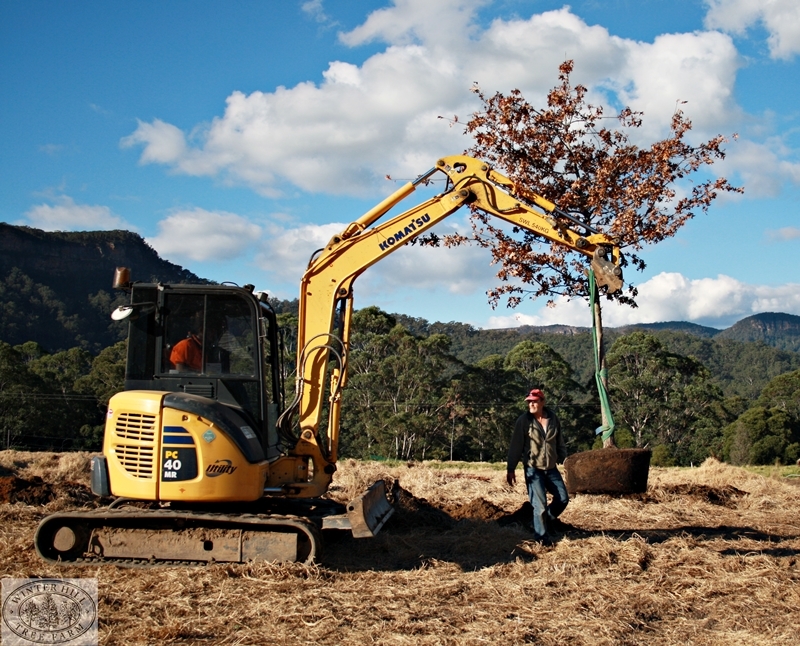 That’s realistic and our team will look at options to help customers identify the best way for them to get the best trees within their budget. 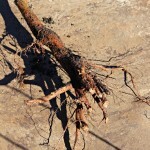 Bare root trees are relatively cheap. Obviously they are smaller which accounts for some of the cost variation but in comparison to bare root trees Winter Hill trees grown in pots have been staked, potted, fertilised, mulched, pruned, potted up and root pruned. That’s a lot of care and maintenance! 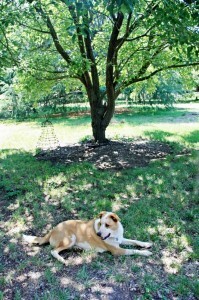 We have over 50,000 trees on the property at any one time and I think John knows each of them! Can you tell that over the last five years we have learnt a lot? 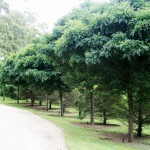 Hopefully this blog will help give you some points to think about if you are considering purchasing trees. 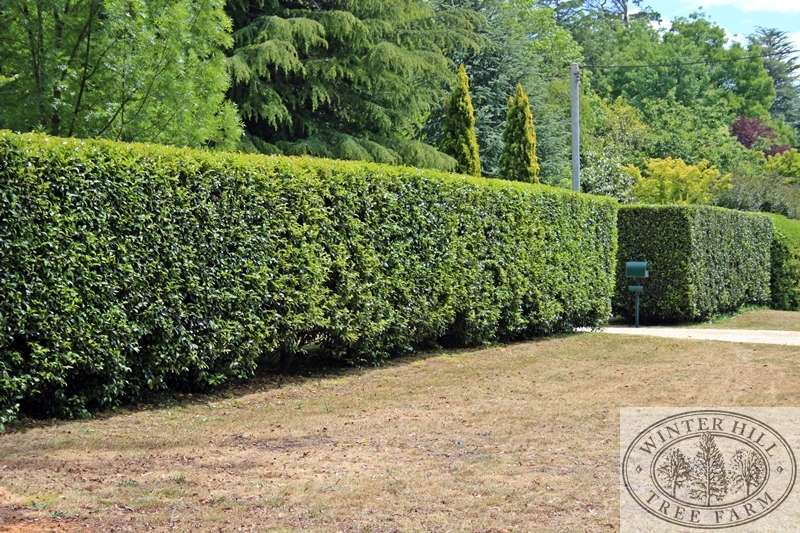 Working in the garden over Winter is ‘bracing’ but a great way to warm yourself up and earn yourself a cup of tea and piece of cake for afternoon tea but feel free to give us a call if you would like to talk through the best option for your garden. 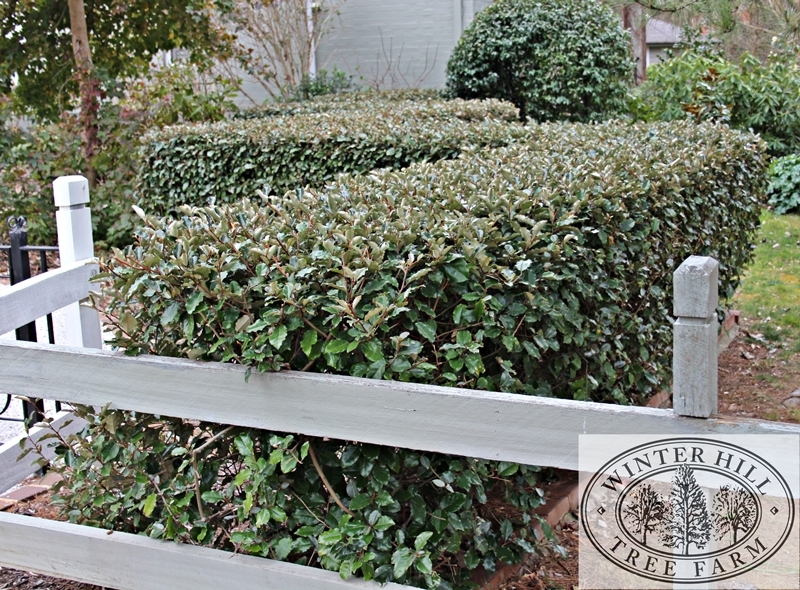 Bare root or container grown – there are benefits to both. 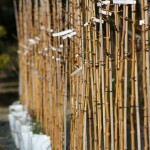 Autumn, why is it the perfect time to plant? 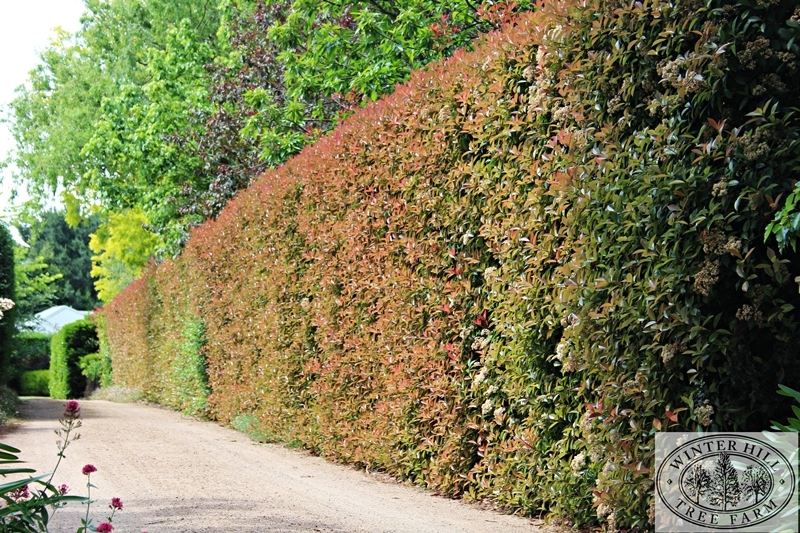 We say it a lot so I thought it time I explained exactly why Autumn is the perfect time to plant your mature trees and hedging. At Winter Hill we grow most of our trees in pots which allows for year-round planting, but it’s undeniable that Autumn is the best time to plant. As you would imagine it’s all about the weather, and in particular it’s all about the temperature of the soil. To put it very simply, (probably too simply but it will give you the idea) ,let’s go through the seasons. In Winter, growth is limited. Just like a bear, deciduous trees hibernate and lie relatively dormant over the cold Winter season. 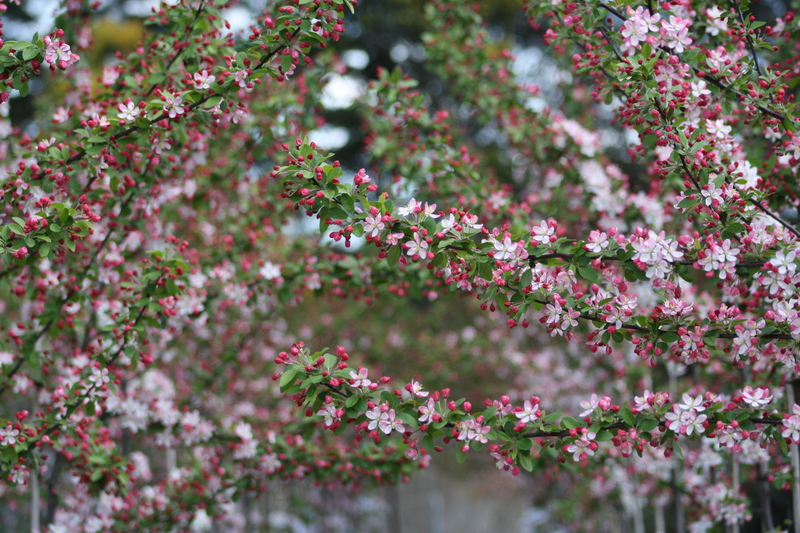 In Spring, as the soil starts to warm up there is a burst of growth and of course lots of effort goes into producing the divine blossoms we all love. 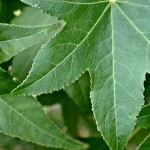 level of moisture in their leaves. In Autumn the temperatures are cooler. Your new plants will be less stressed by heat, they’ll require less water and the leaves will drop so the tree can start to relax a little. 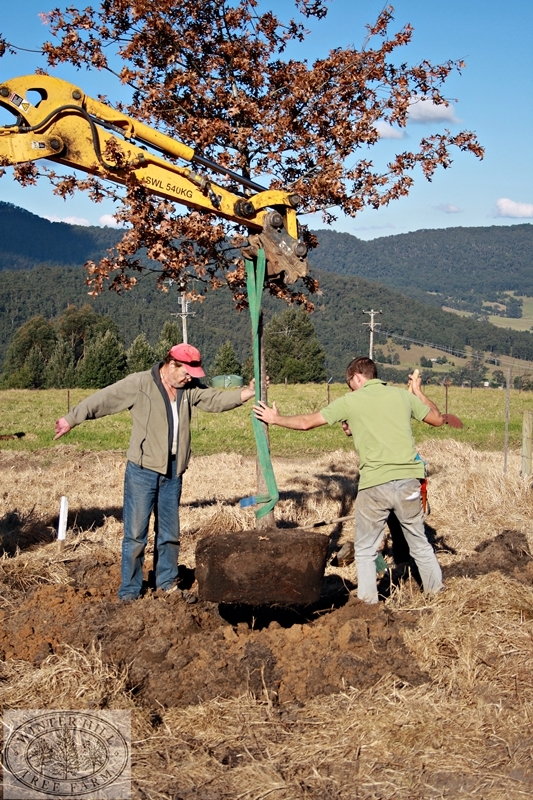 But at the same time in Autumn the soil retains much of the lovely warmth generated throughout Summer, so while there isn’t much happening above ground, underground throughout Autumn the root systems of new plantings are still happily growing and being nurtured in the cosy conditions. And that’s important. It means when Spring arrives your plants will already have a wonderful head start. That deeper more established root growth will supply maximum water and nutrient needs to the plant to foster a fabulous Spring growth surge. So get ready. Autumn is approaching. 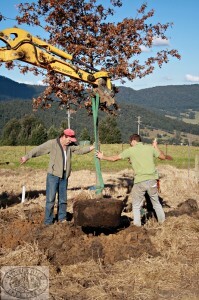 Take a deep breath, dig deep and be prepared to dig some nice big holes ready for your new trees! 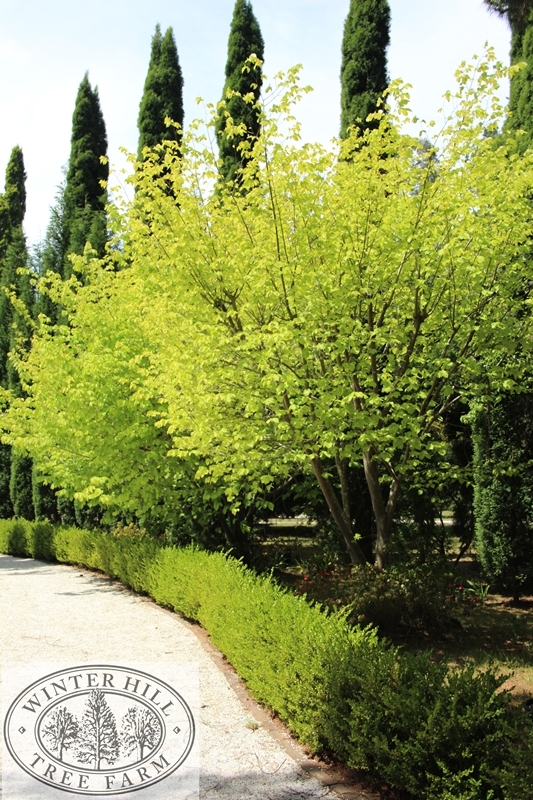 Don’t you just love the simple indulgence of sitting back under the shade of a tree to escape the Summer heat? At Winter Hill we work all year surrounded by the most beautiful trees so over the holidays it was a treat to simply sit back and relax beneath the mature trees in our show garden. 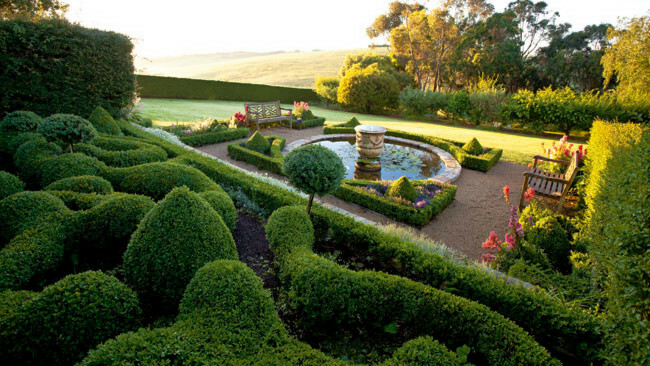 Do you have a favourite spot to sit? I was going to style a couple of these shots but realised if I did set the table with a jug of iced water, a plate of watermelon and a book I wouldn’t move again for the rest of the day! Under a Chinese Elm. The perfect place to read a good book...and have a snooze! 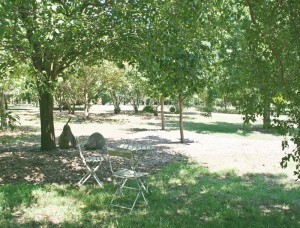 Sitting in the grove of ornamental pears beside the sculpture by Sandy Alsop. Time for afternoon tea? 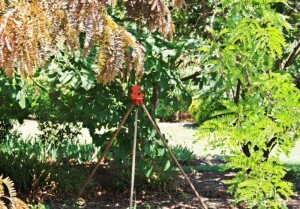 A shady spot under a Shademaster & Ruby Lace Gleditsia for a great design by Heidi Garden Art. My Christmas present. 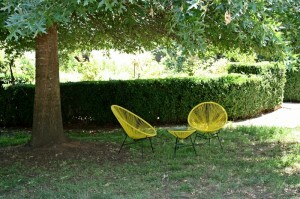 Canary yellow seating looking fabulous under a Pin Oak. Comfy and cool and my favourite place for a cocktail at the end of the day. 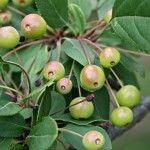 Often the beauty of a tree is described by the colour of the foliage in Summer and Autumn or the fragrance and delicacy of the Spring blossom. 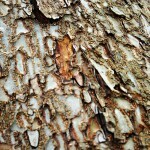 But don’t discount the beauty of the bark. After the Autumn leaves have fallen the texture and colours of bark on bare trees really start to feature. 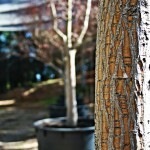 Can you walk past a mature Crepe Myrtle without stopping to run your hand over the shiney smooth surface of the bark? I think it looks like it has been polished. The one featured in this picture looks like an elaborate sculpture. 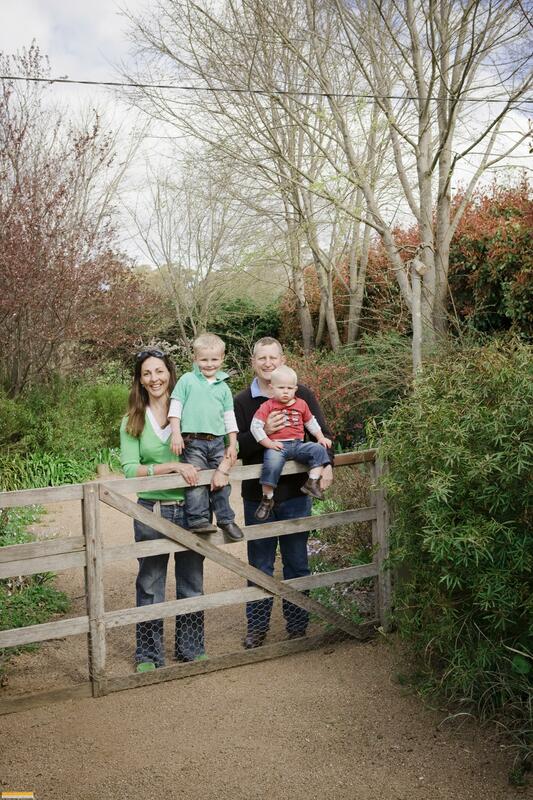 (thanks to the amazing garden photographer Sue Stubbs for the photograph). 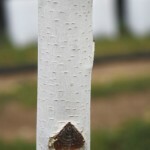 There is the amazing colour and detail in the Snake Bark Maple, the vivid colour of the Coral Bark Maple, the blinding white of the White Himalayan Birch or the roughness of the Chinese Elm. So as you’re walking through the fallen Autumn leaves don’t despair, instead look a little bit closer and appreciate the texture and colour of the bark. 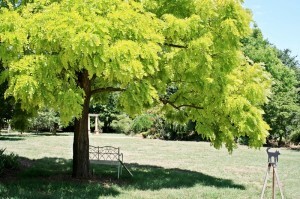 The Mop Top Robinia is an amazingly versatile tree. Naturally topiarised, with regular pruning it will maintain a balled head perfect as a formal entrance to a garden or a home. 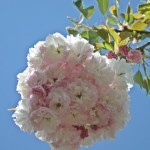 I think the ball provides lovely structure but the branches and leaves are soft which means the head of the tree does flutter in the breeze. 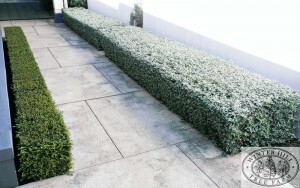 They are a great option for small spaces like courtyards because the size of the head can be controlled. 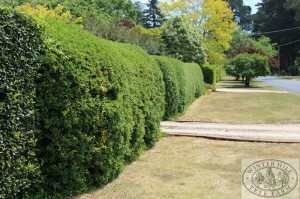 To achieve a consistent thick ‘mop’ the head of the tree should be pruned hard each year right down to the knuckle. It looks pretty harsh but don’t despair! 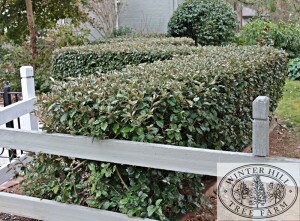 Prune them when bare in Winter and you will have a healthy tight head of foliage when Summer comes around. Less common but equally attractive is to leave the head of the Mop Top unpruned. 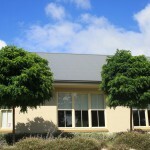 Where space is not a problem this will allow for a woollier, less rounded appearance as shown in these picture of a street side cafe in Bowral and an informal driveway avenue.